The Andrew W. Mellon Foundation has awarded FIU and Miami Dade College a three-year, $2.85 million grant to support students pursuing higher education. Known as “Making Diversity Meaningful in the Humanities: An MDC-FIU Pathway Partnership,” the grant will support programs that aim to assist about 5,000 students each year. It will fund efforts to streamline curricula for students on the MDC-to-FIU path, help students complete degrees, attract more students to humanities fields, foster collaboration among MDC and FIU humanities faculty, and reinforce the importance of the humanities to a democratic society. This partnership will rely on collaboration across all levels – administrative, faculty, staff and students across Miami Dade College and FIU. The goal is for humanities students to have a cohesive and seamless experience across both institutions. 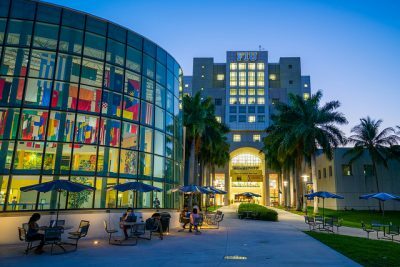 FIU and MDC will partner to have FIU advising staff located on eight MDC campuses to support students who are considering or pursuing humanities majors. FIU will host two residential summer bridge programs that will provide students with intensive exposure to humanities research and writing. Students also will gain academic and job skills through paid research fellowships with MDC and FIU faculty as well as internships and externships at museums, archives and botanical sites. To learn more, please visit www.fiu.edu.